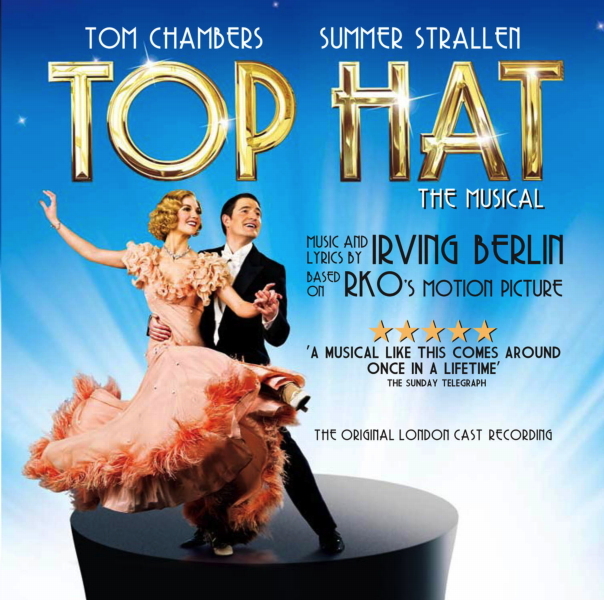 Top Hat, winner of three Olivier Awards, for ‘Best New Musical’, ‘Best Choreography’, ‘Best Costume Design’ and winner of the Evening Standard Award for ‘Best Night Out’, will have its final performance at the Aldwych Theatre on Saturday 26 October 2013 ahead of plans for an extensive UK tour in 2014-15. The world premiere stage production of Top Hat opened in the West End at the Aldwych Theatre on 9 May 2012 following its sell-out UK Tour in 2011. Winning three Olivier Awards from its seven nominations, the production will have played over 600 performances in the West End during its nineteen month run. Producer Kenny Wax says: "It has been such a great privilege to have produced the first ever stage adaptation of Top Hat. We look forward to taking the Production out on an eighteen month national and international tour and over the years to come, I have no doubt that the stage musical will be performed by both professional and amateur companies all over the world. I hope they have as much fun as we're having." Top Hat is directed by Matthew White and choreographed by Bill Deamer, set designs are by Hildegard Bechtler, costume designs by Jon Morrell, lighting design by Peter Mumford, sound by Gareth Owen, new orchestrations by Chris Walker, musical supervision by Richard Balcombe and musical direction by Daniel Jackson. Gavin Lee and Kristen Beth Williams lead the cast in the roles of Jerry Travers and Dale Tremont, previously played by Tom Chambers and Summer Strallen. They are joined by Alex Gaumond as Alberto Beddini, Clive Hayward as Horace Hardwick, Vivien Parry as Madge Hardwick and Stephen Boswell as Horace’s valet Bates. Ensemble and swing members are Michelle Andrews, Caroline Bateson, Jeremy Batt, Charlie Bull, Alan Burkitt, Matthew Cheney, Louise Davidson, Russell-Leighton Dixon, Matt Gillett, Jonny Godbold, Ian Goss, Fenton Gray, Alyn Hawke, Lauren Jade, Paul Kemble, Jenny Legg, Martin McCarthy, Grace McKee, Debbie Paul, Holly Rostron, Callum Train, Lois Urwin, Graham Vick, Alexandra Waite-Roberts and Aron Wild. Jerry Travers (Gavin Lee), the famous American tap dancer, arrives in London to appear in his first West End show. Travers meets the irresistible Dale Tremont (Kristen Beth Williams), the girl of his dreams, and follows her across Europe in an attempt to win her heart. Performed by a cast of thirty-one and accompanied by a live band of fifteen, this new musical comedy includes Irving Berlin classics from the movie such as Cheek to Cheek, Isn’t It a Lovely Day to be Caught in the Rain and Top Hat, White Tie and Tails. In addition, from Berlin’s 1200 strong back catalogue, a further ten numbers have been interpolated including Let’s Face the Music and Dance and Puttin’ On the Ritz. Gavin Lee returned to the West End to join the cast of Top Hat in February 2013. He previously originated the role of Bert in the London production of Mary Poppins for which he was Laurence Olivier award nominated. He went on to play the role on Broadway for which he received Drama Desk and Theatre World Awards as well as a Tony Award nomination. While in New York he appeared at Carnegie Hall in Show Boat and on television guest starred in Law and Order SVU and The Good Wife. His other London credits include Crazy For You, Peggy Sue Got Married, Me and My Girl, Over My Shoulder, Oklahoma! and Contact. His regional theatre credits include Singin’ In The Rain, Snoopy, Noel Coward’s Masterpieces, Of Thee I Sing, Saturday Night, Chicago and Alan Ayckbourn’s Whenever. Kristen Beth Williams joined the cast of Top Hat in 2013 directly from the Broadway production of Nice Work If You Can Get It and previously Anything Goes, both directed and choreographed by Kathleen Marshall. She has also appeared in the Broadway production of Promises Promises directed by Rob Ashford. She has been a regular performer in the City Centre Encores! 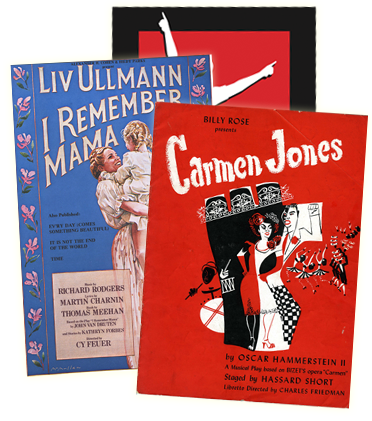 seasons performing in Follies, Applause, Face The Music and The Marvellous Wondrettes. On tour in the US she has been seen in Irving Berlin’s White Christmas, Turn of the Century, Singin’ in the Rain and Chicago.